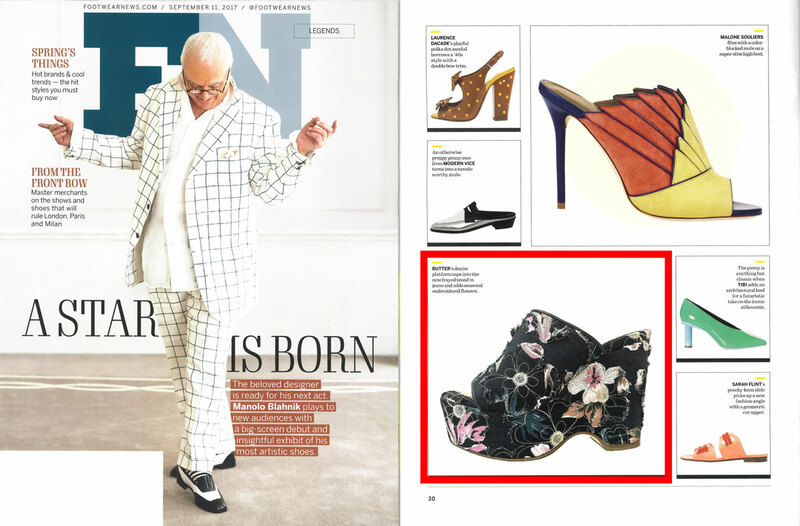 The September 11, 2017 issue of Footwear News featured Butter shoes alongside designers Modern Vice, Malone Souliers and Tibi. The brand taps into the new frayed trend with their distressed brocade platform slide. Thank you to Footwear News for the story!